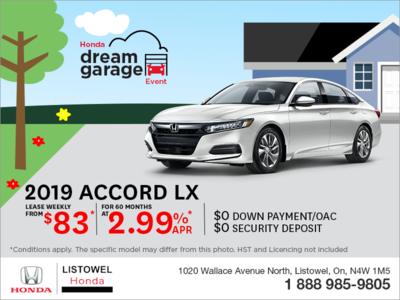 I bought a new vehicle from Listowel Honda and had a really good experience. They beat the price of dealers in the K-W area and worked with me to make the transaction easy. Not a greasy-feeling experience at all, unlike most of my car-buying experiences. It was well worth the drive and time to buy from them.